When you are planning to Study in Australia, the first and major requirement is getting Visa. The Australia Visa is mandatory for entry into Australia. As a Student going for higher studies, you need to apply for Australian Student Visa. But to get Student Visa you must satisfy certain Student Visa requirements. You can be granted Student Visa only if you have applied for a registered course on a full-time basis and meet with a number of visa conditions after you have entered Australia. To get Australia Visa First you must complete a visa application form, lodge it with the evidence required, pay the application charge and satisfy the student visa requirements. It is important to meet all these visa conditions to avoid cancellation of your Visa. After applying for Visa the Australian Embassy will give you a Date to attend the Interview. On the given date you need to appear for a personal interview. If you have not performed well and have not submitted the correct documents at the time of the interview, your Visa will be rejected. So concentrate on Australia Visa process and get approved visa to study abroad in the Australia. For the sake of the candidates here we have provided the detailed Visa process and Checklist for Visa. Check the the process and organize your documents to attend the interview. Generally, after applying for Student Visa your applications are processed by the Australian High Commission, New Delhi. Now the Student Visa Application process has replaced with SVP (Streamlined Visa processing) from previous PVA (Pre-Visa Assessment). So, Now the eligible students should apply under SVP by submitting the required documents along with the visa application. Once a decision has been made by the Authorities after verifying your documents, the visa decision is intimated to the applicant electronically via email. If your visa is approved you will get a grant letter to your nominated postal or email address, then you can now travel to Australia. It is recommended that you print this letter and keep it with you when you travel to and from Australia. Your grant letter contains Visa Grant number, Validity date of your visa, and the visa conditions. 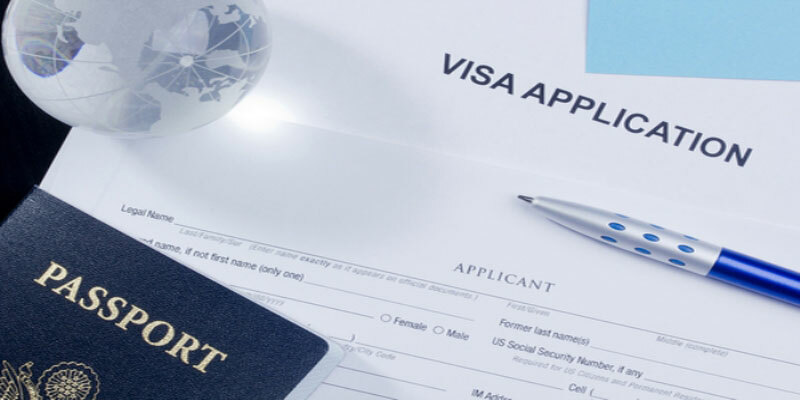 If your Visa is not approved the department will send you the notification letter containing the reasons for the refusal, your review rights, and the limit of lodging appeal. So you also have the option to lodge an appeal to review the decision. But the review rights of the decision will differ depends on whether you have lodged in Australia or if you lodged for a Visa outside Australia. If you lodged in Australia, the refusal letter advises you of your rights and the time limit for lodging an appeal and if you lodged outside Australia, you have no right to a review of the merits of the decision. While applying for the Australian Visa you need to submit some important documents along with your Visa application. The Australia High Commission will check your purpose of visiting the country and will issue the visa. Below is the list of Documents you need to submit during your Visa Interview. Organize all documents according to the Australia Visa requirements and submit the visa application. Visa Application Fee payable by Bank Draft has drawn in favor of “Australian High Commission, New Delhi”. Nomination form 956 to be completed only if you are lodging through an agent. The e-COE (Electronic-Confirmation Of Enrollment) from the institution, after received the payment of 1st Semester Fee. Your Passport – Original passport is not required. Academic Certificates (All Mark sheets, Certificates, Degrees, and Diplomas). Guardianship form, if the student Age is under 18 years. Reference letter from current employer and previous employer, if employed. Affidavit of support from Sponsor. Affidavit of support from Student. Bank Statement/Bank Passbook for the last 3 months and current balance certificate. Income Tax returns of the sponsor for the last 3 years. Details of acceptable funds in the form of a table/matrix. Evidence of relationship with the sponsor. Property Documents along with Valuation Report. Bank loan Sanction Letter (if applicable). Other Liquid Assets like Fixed Deposits, etc.